Wonderful interviews with Zita and Manssom! I really enjoyed 'em. Love the interview with Manssom. Great format for the Gazette, it looks like a real newspapers page. 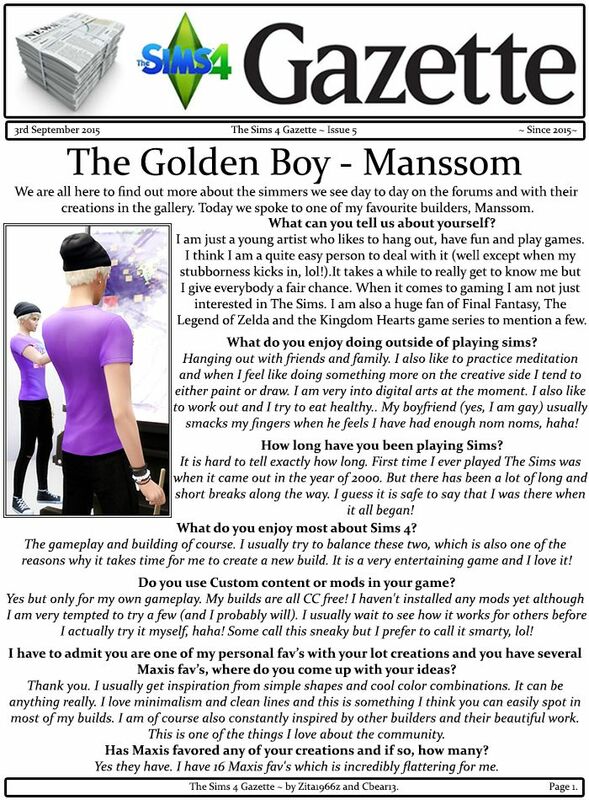 I also loved the article on Manssom! I'm a little embarrassed I've never heard of this amazing builder before! And, I'm also a fan of final fantasy and kingdom heart among others. Added bonus on my maternal grandmothers side all of them are Swedish! (My great grandfathers name was Axel! Coolest name ever! Lol) I'm dying to go visit one day! This is such a great idea! Looking forward to the next issue! 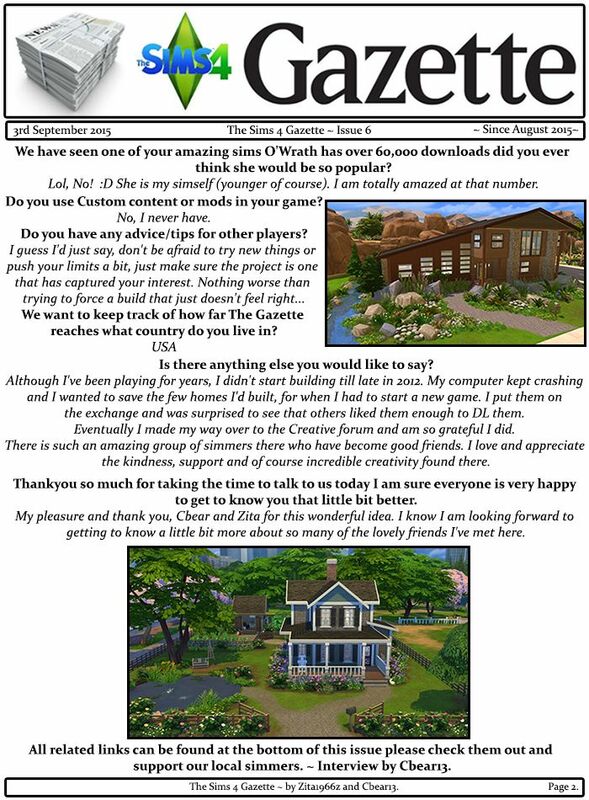 It was nice reading your interview @Cbear13 and @Manssom You are such a creative designer and builder! You combine modern design with elegant style, and the homes are always so very nice! The exterior design and outdoors areas of each of your builds is so very nice! You use black and white well in your builds, and use other colours in a way that enhances and creates great effects in the builds. 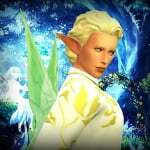 @BryonyRae you nominated PavlaProvaz I was wondering if you knew their forum ID at all or if anyone does? There is a PavlaProvaz with no activity so not sure if we will be able to interview. 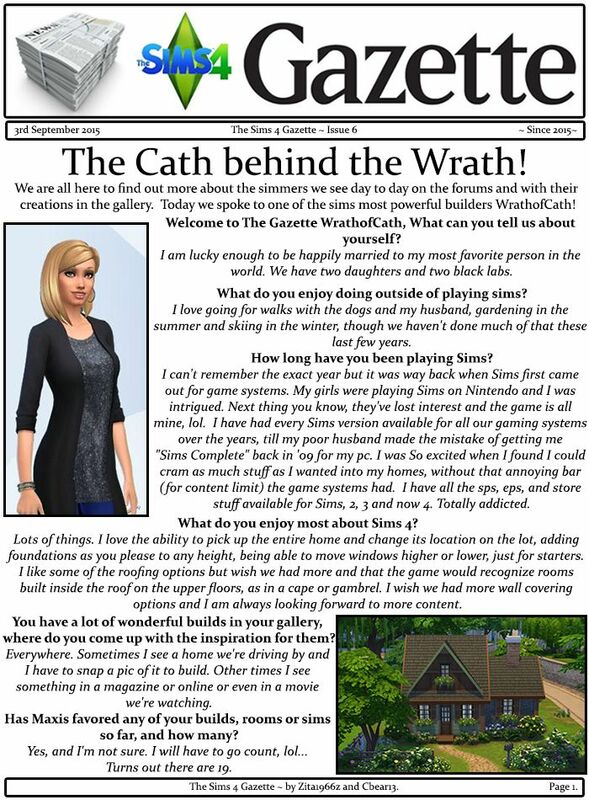 It was very nice reading your interview @WrathofCath and @Cbear13 It was nice reading about your simming experiences and how you started simming. Your builds and rooms are always so very nice! The way you furnish your builds and use MOO is so very nice! The exterior designs of the homes and the way you place flowers and plants in the outdoors areas always look so very nice! More that though, you are such a very special lady. Thankyou very much for being you! Lovely interview with Cath. She is such an amazing builder and a sweet lady! 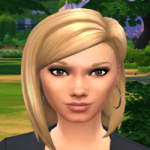 I had the pleasure of getting to know her back in the TS3 days, and I'm so glad she got into TS4 too. @Cbear13 I'll try posting on their gallery sites to see if either of them are (or want to be) on the forums to do the interview, but yeah, I figured it might not be possible. Great interview of @WrathofCath ! I've seen her win in a number of contests. Love her work. 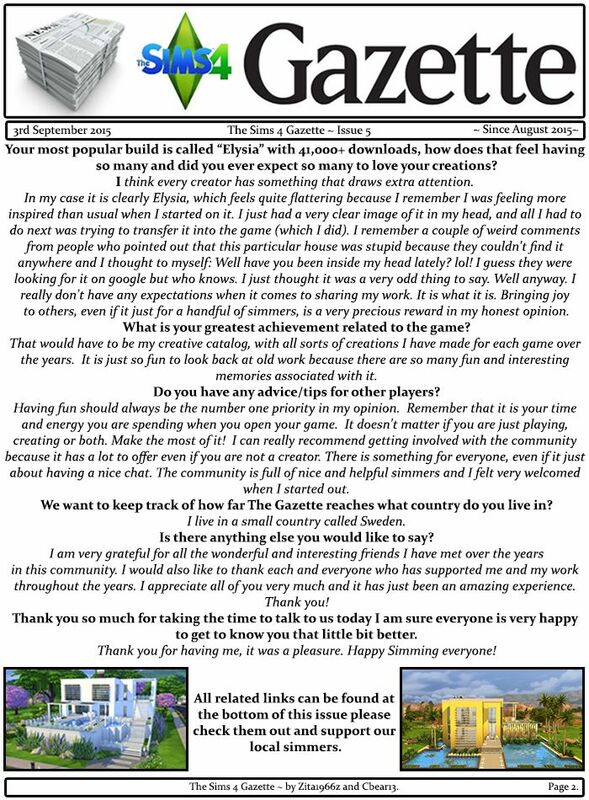 @Cbear13 and @Zita1966z, Thank you for the interview and for creating this paper! It's wonderful getting to know our fellow simmers better. Really lovely interviews with @Issabella14, @Zita1966z and @Manssom. 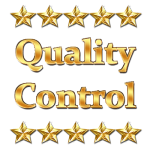 @rosemow, Thank you so much for your lovely comments, Rose! 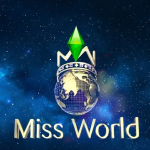 Hands down, you are the sweetest, most kind and most encouraging simmer here in our forums. Thank you for being the very special person you are! @BryonyRae, @lisa17ann and @pammiechick, Thank you for your sweet comments! I completely agree with Everyone on Bry's list. Love them all. But I would Absolutely like to include BryonyRae, herself to this list.